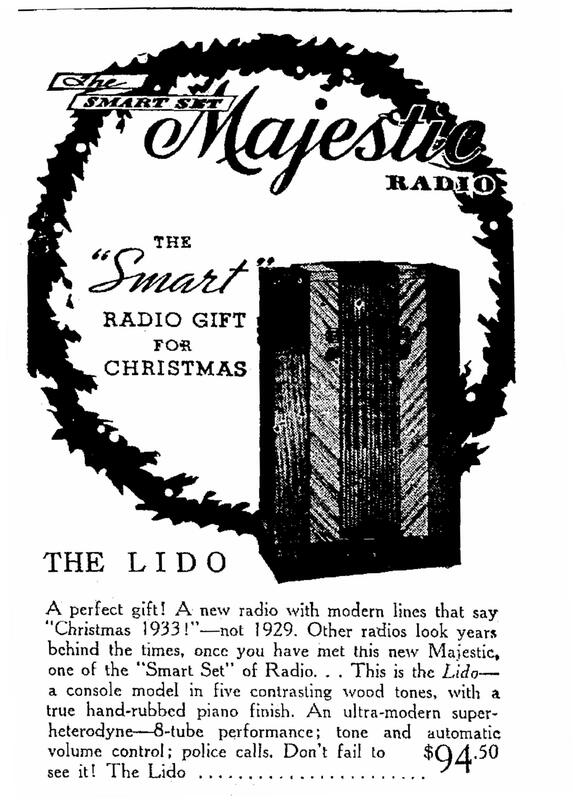 ..nothing nearly so fine in all the world of radio today. 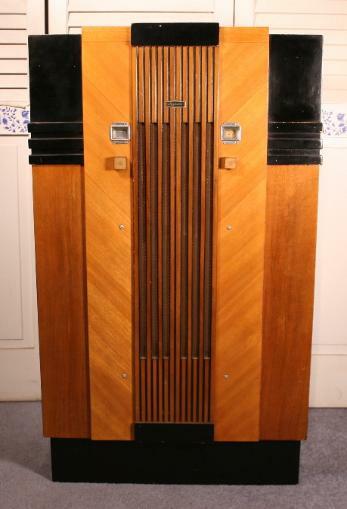 ..a magnificent modernistic cabinet in five tones of wood..
with two Duo-Valve tubes providing genuine 8-tube performance"
the summer and fall of 1933. 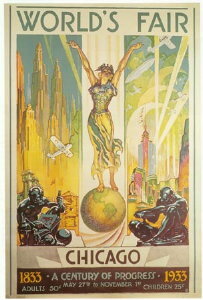 Inspired by the "Century of Progress"
on Square Garden (the others were the Riviera, Ritz and Park Avenue). genre, if not technically, despite the valiant attempts of others. 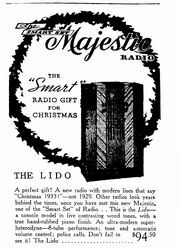 For other Majestic "smart sets" see my Majestic Radios gallery.